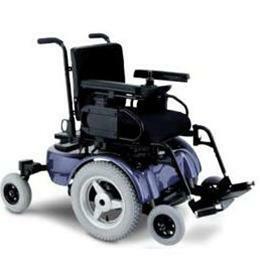 Patented two-motor, mid-wheel drive design provides superb power and acceleration. Active-Trac® and rear caster suspension for outstanding outdoor performance. Adjustable front anti-tips to meet your preferences and terrain challenges. Standard 8 amp, off-board charger.